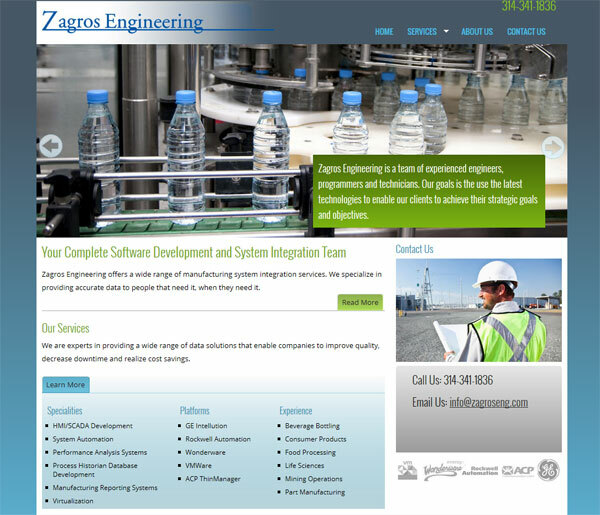 Launched today is a brand new web site for St Louis engineering company, Zagros Engineering. The site presents their company information and services though a clean design with easy to use navigation. The Zagros .net developers will be adding future .net functionality to the site. We first worked with Zagros on a redesign project for a shopping cart site Zagros Robotics and are delighted for the opportunity to work with them again.